Apparently this blog has just been deemed worthy of StumbledUpon who has added content to their dynamic search engine, causing readership to nearly triple overnight, reaching roughly 2000 visitors in a single day on January 8, and over 2500 views. 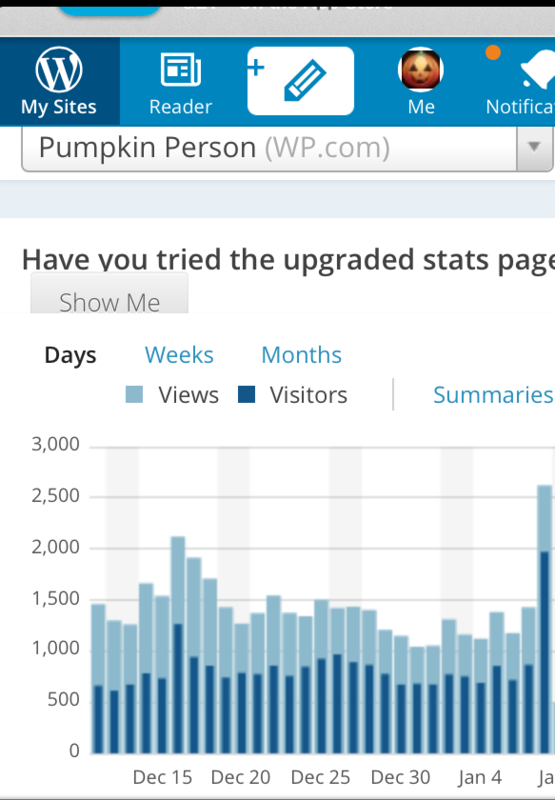 Most of the traffic seems to be generated by my standard deviation article. It’s crazy, how does he do it? Maybe he can think and type super fast, even while drunk? Also, he might be lucky to have a job that allows him to be free in the evenings. I don’t even have time to comment as much as I do. I never proofread my comments, hence their rambling nature sometime. I don’t have time because i usually comment from work or on the run. Your comments will be greatly missed if you comment less often, as you are the voice of reason and your range of knowledge is impressive. Hopefully, you will still have time, though I understand work comes first. and of course, the first comment on the std dev article is nonsense from our resident drunk. My question is naive, there is nothing behind it. I don’t know how it works, don’t know any blogger in person and don’t want to start my one blog. Are you able to live on incomes from this blog, or do you think it will be possible in the future? Most likely not. The way I understand it, the only people who are able to live from blogging either a.) use it to promote other sold products like ebooks, b.) are the biggest of the biggest, or c.) are employed by gawker.